I’m here for a quick Friday Five and Yes, I’m really leading with this picture. I’ve been so behind and I have some posts started, but I figure I’ll just jump in and round them up here. Esprit de She Indoor Tri 2/21/16 was amazing! Kyrsten Sinema gave the opening remarks and kicked off the Women For Tri season. 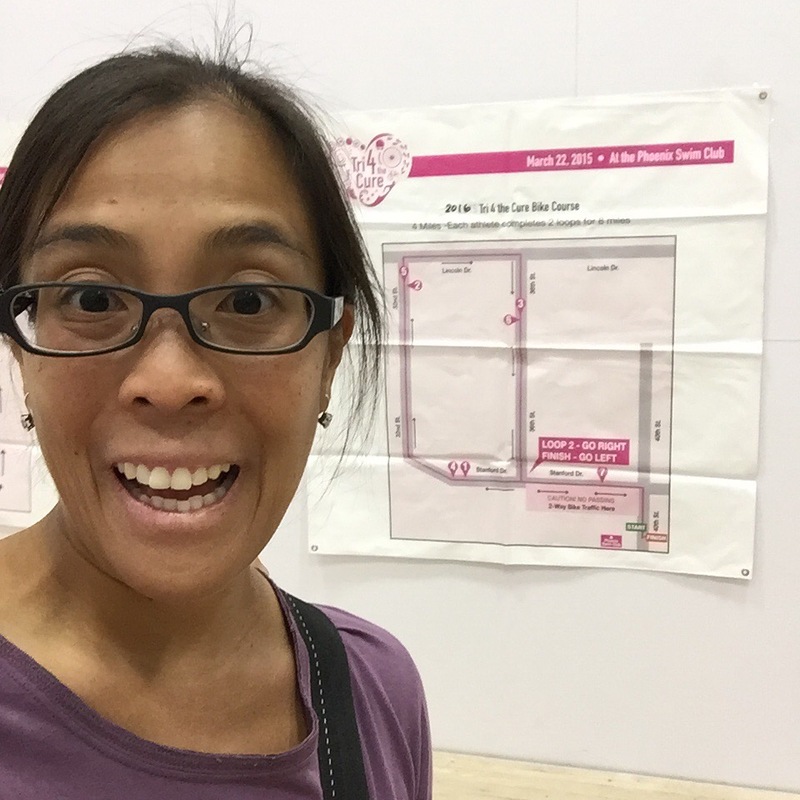 I was thrilled to race with so many MRTT ladies and especially tickled for to be there their first triathlon. 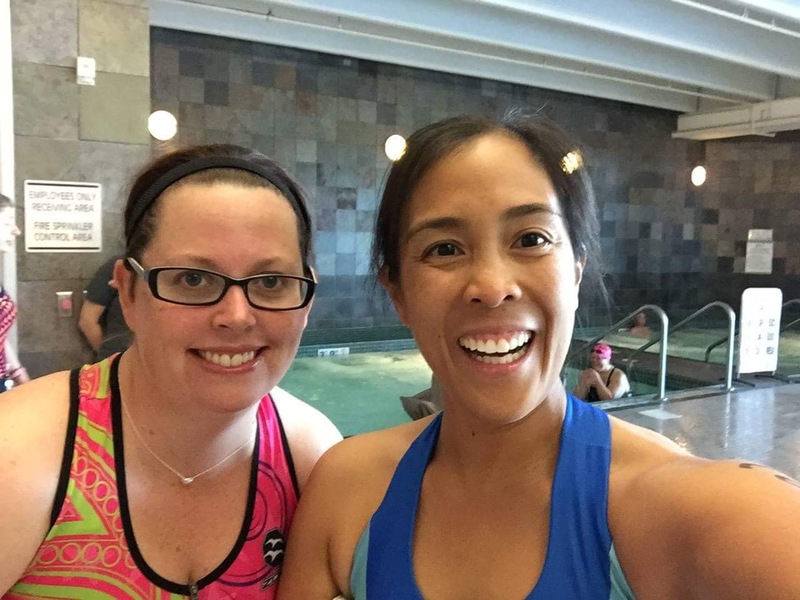 I’m elated that my BRF #elainenotoninstagram completed her first Tri! 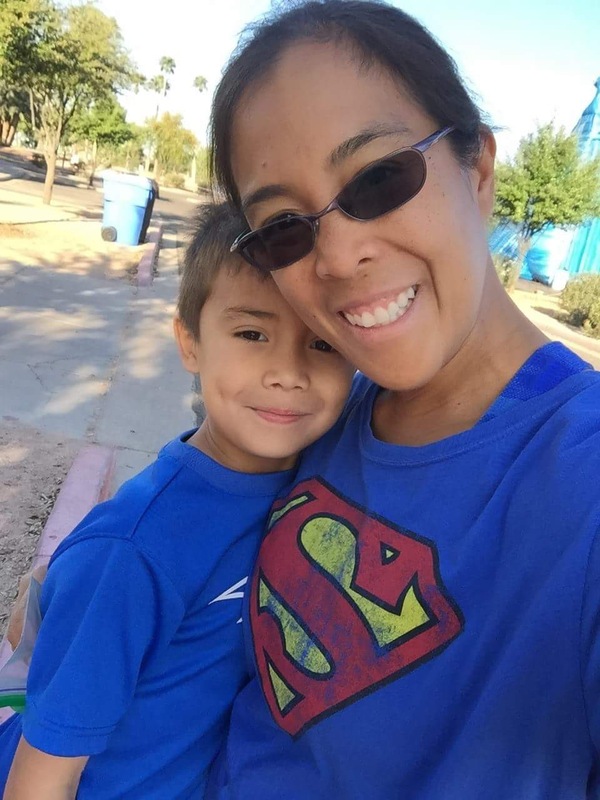 I was a Phoenix Marathon cheerleader for the second year in a row. 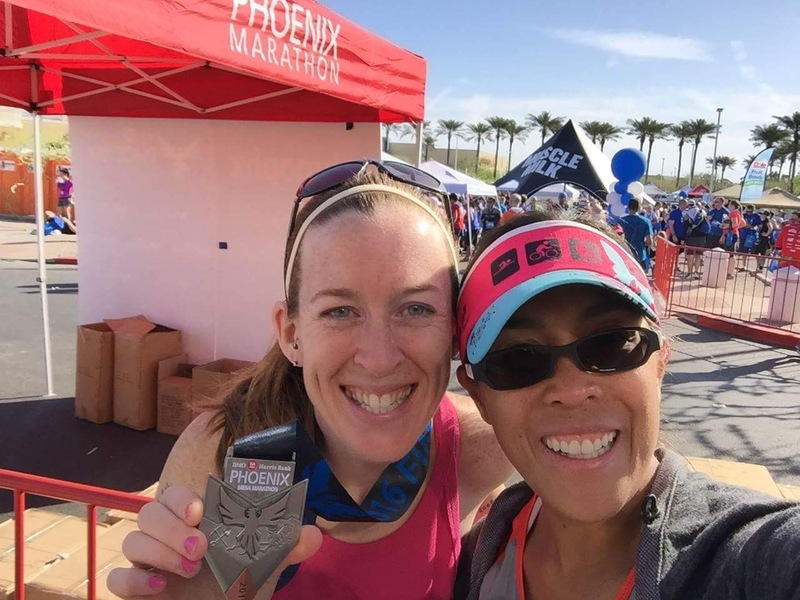 https://instagram.com/p/BCStOSrwpVZ/ This year my library school bestie came in from VT to race the half. We made it into the We Run Social pics and I was on the #cheersquad all day! Kapow Run with the boy. The girl was fighting a bug so she slept in with Daddy. This kid really wants to do the Hot Chocolate 5k, so we talked about pacing oursleves while we run. 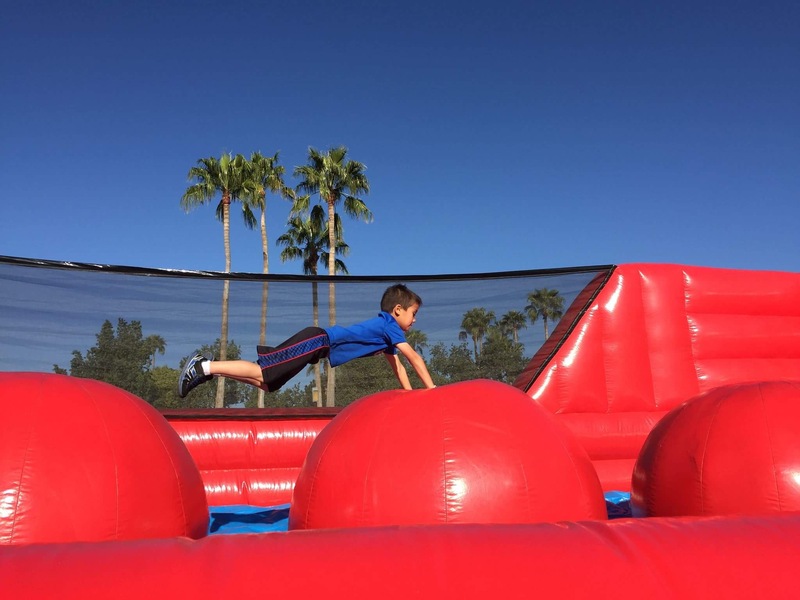 I love the Kapow run because is so family friendly, you can skip obstacles as needed, there are tons of kids, and it’s not timed. 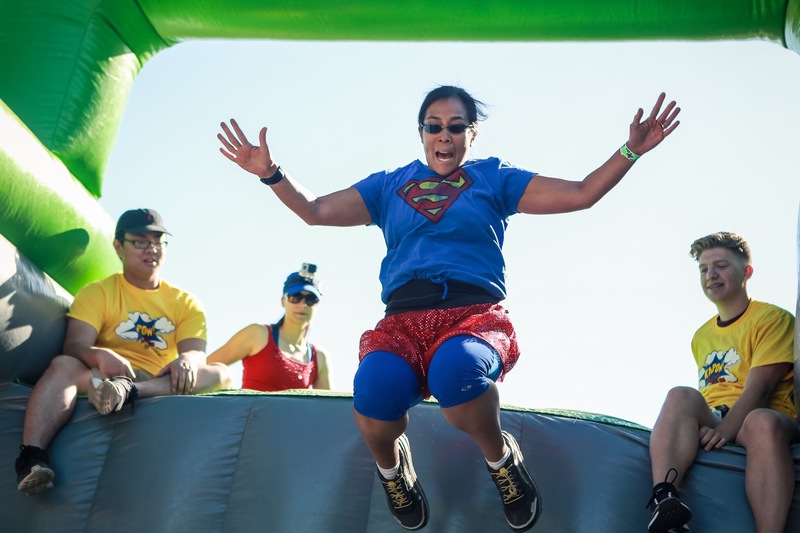 The superhero themed obstacles make it challenging but fun! Tri 4 the cure is this weekend. I didn’t follow a training plan. I’m using my bike shoes for the first time in a race. Posted in Exercise, Link Ups, Races, Triathlon, updateTagged esprit de she, kapow, tri 4 the cureBookmark the permalink.